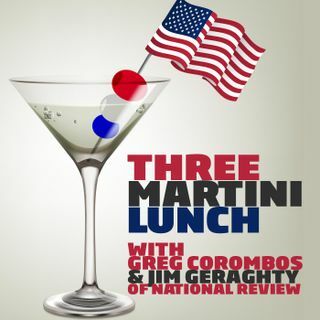 Jim Geraghty of National Review and Greg Corombos of Radio America wince at many of the final polls showing Democrats with the momentum in several key races. They also wonder why Republicans have not spent most of their time and money discussing the strength of the economy instead of more polarizing issues like the caravan. And they unload on Saturday Night Live comedian Pete Davidson for mocking Texas GOP congressional candidate Dan Crenshaw for wearing an eye patch and saying, ... See More "I'm sorry. I know he lost his eye in war or whatever."